Eighty-six percent of Americans do it. Not all very well, but most do it every day. We do it without even realizing it. What is it, you ask? Reading is a skill that every adult should have, and a skill that every child should be taught. However, learning to read is not always an easy process. Here’s why. Reading takes a lot of brain power. A lot. It is easy to take for granted the ability to read. From the moment children enter school they begin learning to read. Prior to formal education parents are encouraged to immerse their children in literacy, even from infancy . But the brain has to work hard in order to read. The purpose of reading is to construct meaning from written text; to gain information. As readers, humans follow instructions and stories as a means of learning. Then we connect what we read to what we already know to develop a deep understanding. What is Really Involved in Reading? Reading involves more than simply deciphering words. It includes figuring out the relationship between the approximate forty-four spoken sounds (phonemes) of the English language with the twenty-six letters of the alphabet , and there are over 150 spelling patterns! One missed connection in the brain can lead to a complete misunderstanding of the text at hand and a very frustrated child who is learning to read. Readers construct meaning from two major sources: words and passages (otherwise known as strings of words). Proficient readers are fluent readers in that they can obtain meaning by reading the text rapidly, effortlessly, and most times unconsciously (called automaticity). Readers need to recognize every word as fast as possible with the least amount of effort so that they can use their energy for the more demanding task of reading: figuring out the overall meaning. Research has indicated that word recognition difficulty, or decoding, is the root of most reading problems. Decoding is the process of converting printed word into its spoken form. This leads to word recognition. Word recognition is where the reader connects the decoded word to its meaning. When the reader can automatically do this, while reading a string of words in a passage, the result is comprehension of the entire text. The Connecticut Longitudinal Study indicates that the decoding ability of a child in the first grade continues to be a major factor in comprehension throughout the elementary years. In first grade, the ability to decode words accurately correlates .89, or 80%, with comprehension. By the fourth grade, how well a student learned to decode in the first grade correlates .64, or about 40%, with comprehension. In the ninth grade, the correlation between first grade decoding ability and comprehension is .52, or about 27%. 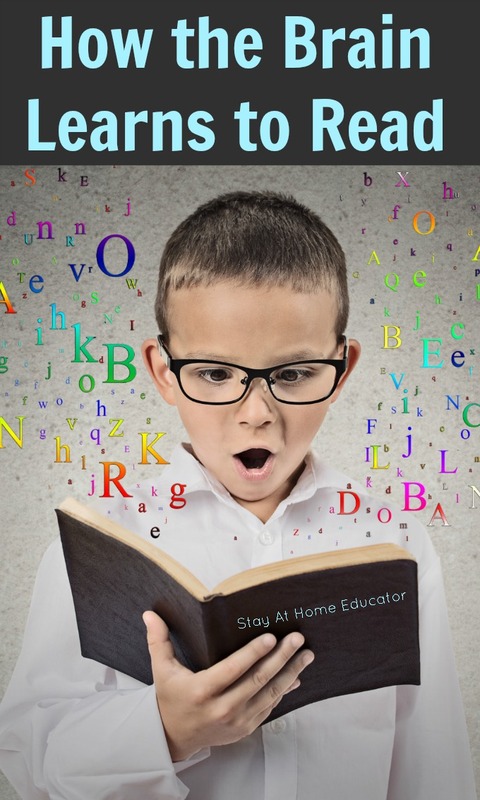 It is evident that a child’s ability and skill in decoding while in the young elementary grades have an impact on their reading success throughout their school career. The American Flag is rid, white and blue. Did you notice every letter and thus gain a full comprehension of the sentence? Many words in the English language are only distinguished from another word by one letter. For example, the words fat and cat, or even more difficult, sat and sit. Failure to fully recognize and process every single letter in a word may result in incorrect or slow recognition of the word. According to researchers at the Center for Learning and Attention at Yale University, the brain reads by breaking words into sounds. Three different parts of the brain must be activated in the correct order to decode properly. Once the eye notices the individual letters in a word, c-a-t (called the letter identification processor), it connects those letters to the phonological processor. This is where the brain associates the letters with specific sounds, /k/ /a/ /t/. After the letters and sounds have been bundled together it connects to the brain’s meaning processor, where the concept of the word is identified: a small furry animal that meows. This is a lot of activity that takes place in the brain, and not all in one spot either. The different processors are located in the left, back, and front of the brain. When the brain stumbles upon a new word it must be thoroughly decoded. As the brain is re-exposed to that same word, and read over and over again through multiple readings, the neural connections (remember the three processors) become faster and stronger until recognition is automatic. Some readers may need exposure to the same word fifty to one hundred times before complete storage can be possible. Partial storage of only the first letter, or the letters without sounds, doesn’t give the brain enough information to store and retrieve that word effectively, thus slowing down the reading process and compromising comprehension. The brain relies on patterns to store and access the complicated task of reading and developing meaning. Memorizing spelling patterns without connecting to sounds is ineffective. Combining information about a word, like its sounds and letters, are needed for the brain to find the exact meaning. When readers begin to recognize large numbers of words automatically and accurately, comprehension improves. Thus full decoding is crucial to complete comprehension. So interesting. So, I wonder about how speed reading works. I have seen speed reading classes for adults and I have to wonder if using this technique decreases the readers’s comprehension. I found your blog through iGameMom by the way. Actually, research shows a significant decrease in comprehension once ready speed surpasses 150 words per minute, which is about the level of speed for a highly capable fifth grader. So in awww….this is some fascinating info! I read through all of “How Children Learn to Read and Why They Fail” this morning. Thank you for the link, as it has me off researching in a new direction today. The more I read about how kids learn to read, the more impressed I am with the whole process!